More often than not the road to love is a winding one, with some combination of thrilling attractions, disheartening breakdowns, dead ends and head-scratching u-turns along the way. 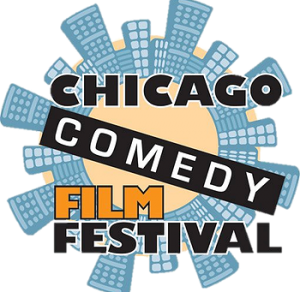 The 4th annual Chicago Comedy Film Festival (October 16 – 19, 2014) line up included films that echoed the sometimes harrowing, awkward and, ultimately, ‘you complete me’ quest for love many of us go through. Awkward Expressions of Love, a 10-minute short written by Trilby Glover, marks her directorial debut. She also stars in the film as Anna, a woman trying get back into the dating scene but isn’t quite ready. Ian Brennan, co-creator and executive producer of Glee, plays Anna’s love interest that is left virtually speechless after her supremely awkward attempt at explaining their fumbled encounter the week before. While both delivered good performances, it was Anna’s friend Liz, played by Jayma Mays (also a Glee alum), who injected a more dynamic energy to the film. Her experience as a seasoned performer was evident in the nuances she brought to the character. Awkward Expressions of Love, though slickly produced, didn’t quite find its comedic pocket. I was left wanting a bit more quirk and personality from Anna and perhaps better pacing or different shot framing for more punch from the jokes and their facial expressions. I’m looking forward to seeing future projects and a different variety of work from Trilby Glover as this was just the beginning. My second screening, The Yank, on Friday October 17, 2014 was at the ShowPlace ICON Theater in the impressive new Roosevelt Collection. The Roosevelt Collection – a bustling, well-designed, and fast-growing hub of shopping, entertainment and sleek loft residences – was a much needed development and will soon give other trendy areas of the city a run for their money. Listen to my interview with The Yank cast and crew! The Yank is a feature from another first-time director, Sean Lackey, and gets its title from the name by which Americans are often called when overseas. The film has a lot of moving parts and proves an ambitious directorial debut, but one Lackey committed to wholeheartedly. The idea for the story and the beginnings of a script had been marinating for several years after a trip to Ireland, but it was after the passing of a close friend that he had the “now or never” moment and began recruiting for the production. The Yank boasts an impressive cast including Kevin Farley, Fred Willard, Niki Spiridakos, and Lackey himself. They take us inside their world of Cleveland, Ohio that is both charmingly Midwestern and feverishly Irish and we then go along for the ride on their quirky exploration of Ireland. The script showed promise of what’s to come for Lackey, but the initial sequences and character development seemed rushed and not quite fleshed out enough for me to feel invested in the chemistry of the romantic leads (Lackey and Spiridakos) or to fully empathize with and root for Tom Murphy (Lackey) in his quest for the woman of his dreams. With a bit of sound re-mastering and tighter pacing of some longer shots, the story could have a bit more punch and improved production quality. The film found its stride with particularly well-written exchanges between Peter (Willard) and Tom, as well as more nuanced comedic delivery such as the dinner scene at the live-in barbershop. 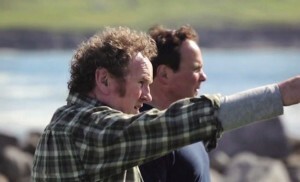 Colm Meaney, who plays a relative of Tom, gave an impressive performance, along with some of the others cast as Irish locals and Murphy clan. All in all, The Yank was enjoyable with endearing and comical moments, not to mention the success of presumably complex production logistics. Coordinating international shoots and securing access to film in places like the Guinness headquarters can be very difficult so kudos and congratulations to Sean Lackey for a strong directorial debut!